At NBI we only create products that we feel confident taking ourselves or giving to our family. We’ve taken the steps to ensure that only the best raw materials go into our products, and that our manufacturing and quality assurance processes exceed industry standards. We do all this not because it’s the most economical way to create and manufacture products. Because it’s not. We do this to ensure that every time someone purchases a NBI product know that we’ve gone the extra mile to make sure our formulations, raw materials and manufacturing are the best in the industry. Our product formulation philosophy is very simple. 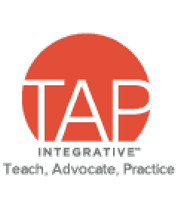 Create products based on clinical trials and the best research from around the world. And then use the forms and doses of nutrients used in the clinical trials to help create products that give people real results they can count on. 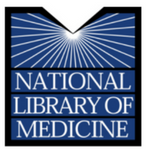 NBI maintains a database of more than ten thousand research citations, and routinely searches the National Library of Medicine’s database of more than forty million articles for new, cutting edge research on nutrients and their beneficial health effects. 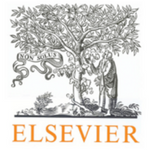 Dr. Neustadt is so well respected for his research that he’s been recognized by Elsevier, the world’s largest medical publisher, as being a Top Ten Cited Author for his work on mitochondrial damage and the molecular pathways of disease. This research became the foundation of NBI’s MitoForte product. Research Dr. Neustadt submitted to the US FDA on the possible use of natural products to treat rare diseases was awarded 15 orphan drug designations for the potential treatment of cancers such as acute myeloid leukemia (AML), myelodysplastic syndrome (MDS), promyelocytic leukemia and hepatocellular carcinoma (liver cancer); and neurological and mitochondrial disorders. The ingredients that go into every NBI product are of the highest purity and in forms that your body can absorb and use. For example, the MK4Ⓡ used in Osteo-KⓇ and Osteo-K Minis is the purest form of MK4 available on the market. 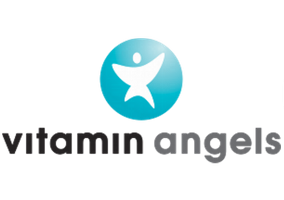 And the minerals in NBI’s products are in their amino acid chelated forms, which are the most absorbable forms. Many companies will skimp on their raw material costs and use “-oxide” forms of minerals or, in the case of calcium, they’ll use calcium carbonate. The problem is that the body cannot absorb these minerals. In fact, in the case of magnesium oxide the body only absorbs about 2% of what is in the pill. The rest just passes right through you and out in your stool. NBI’s manufacturing and quality assurance exceed industry standards. All NBI products are manufactured in the United States at a FDA-registered and inspected facility. 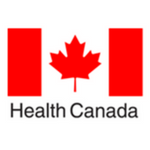 The 350,000-square foot facility is FDA-approved and cGMP certified. 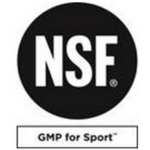 GMP stands for Good Manufacturing Practices, which is defined by the FDA. 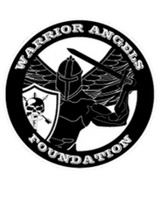 This certification means the facilities, equipment, and processes have been reviewed and approved by the FDA, and verifies the ability to create products that meet the organization’s strict guidelines for consistent identity, quality, strength, and purity. NBI goes beyond the standards set by the FDA. 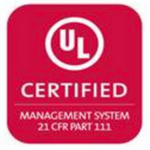 Its manufacturing facility maintains certifications from many independent organizations. 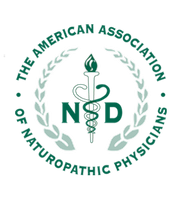 The Natural Products Association (NPA) was the first organization to offer a third-party GMP certification program for manufacturers of dietary supplements. 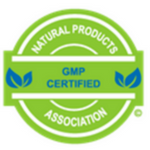 GMP Certification Program is designed to verify compliance of member suppliers of dietary supplements with a standardized set of good manufacturing practices (GMPs) developed by the Natural Products Association. 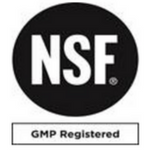 NPA GMP Certification is awarded to companies that meet a high level of compliance to the NPA GMP Standard as verified through comprehensive third-party inspections of facilities and GMP-related documentation. 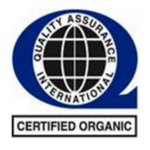 QAI is a leading USDA-accredited organic product certifying agency that has been providing the highest level of organic certification service to its growing number of customers since 1989. QAI verifies organic integrity from the land on which the product is grown, to the post-harvest facilities and processing plants, to the retail store where it is available for purchase. 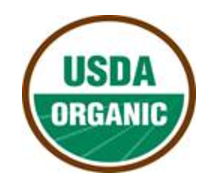 NOP develops the rules & regulations for the production, handling, labeling, and enforcement of all USDA organic products. Under the USDA organic regulations organic processors such as Bactolac must use certified organic ingredients and only approved non-organic ingredients for products labeled as organic.